More and more pulpits are occupied by motivational speakers rather than preachers. Church congregations are not being given a comprehensive, biblical understanding of the faith. Drawing on his own experience as a pastor in Zambia, Conrad Mbewe tackles issues such as the content of pastoral preaching, how pastoral preaching relates to church life, finding the time to prepare pastoral sermons, and dealing with discouragement. Throughout the book, it is clear that the authors conviction is to see preachers grow strong churches, to build a people for God. 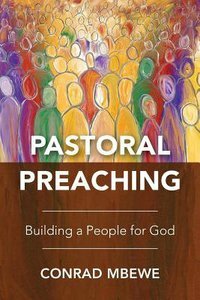 About "Pastoral Preaching: Building a People For God"